Recently, I received an email from an HR director at a rather large company asking if I had any documentation on where companies should share their employment brand. This particular organization is about to develop their employer brand and wants ideas for places to share their new tagline (when they come up with it). This simple email really got me thinking! 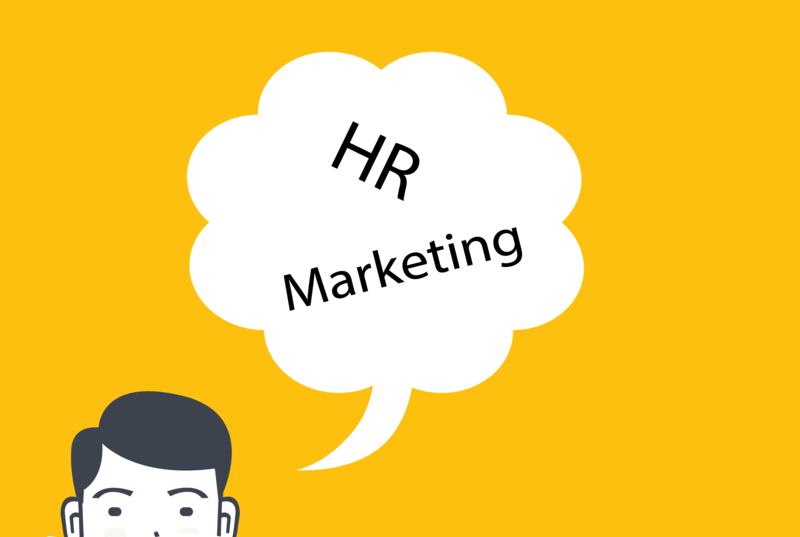 How can an HR team begin to think more like a Marketing department? When I am given a new message to share, an upcoming career event, recruitment video, job opening or HR-related announcement, I try to develop a well thought out promotional plan. Is this an internal or external message? Is this a short-term announcement or a long term concept? What’s my timeline for getting the information out? What are the best platforms for communicating the information? What are the no to low cost ways that I can share the message? Who are the other folks that I need to bring into the process? How can I rally support from others to share the content? How will I know if these efforts have been successful? So, put on your PR and Marketing hat! Here is a handful of tactical ideas, some you’ve probably thought of before and others that are hopefully new to you. In today’s world of work, there are many opportunities to share your company’s story and places where you can maintain continuity of your brand message. Now … think about something that you are currently working on that could use a little boost from PR or Marketing. Do you have a job that’s been hard to fill? An upcoming job fair? Are you gearing up for fall college recruiting? Did your organization just receive an award? Has your company just reached any major milestones? Career Site: This is your hub for sharing your company’s story. What are your company’s values and how do your employees and leaders live them every day? What makes your company different, stand out, special? How can you keep the information fresh and avoid having a stale, static career website? Consumer Site: Are there opportunities to share some of your employer brand and value proposition on your company’s consumer site? If people are consumers of your product, they may be interested in working for your company, too. Who on your HR team can build rapport with owners of your corporate website and get the collaboration started? Intranet: Internally facing, your corporate intranet maybe a good place to showcase the talents or accomplishments of your employees and maintain continuity of your employer brand. Additionally, it may be a good source of information to share externally. Press Releases: When my company has big news to share — being named a top workplace for example — we will reach out to our PR department and brainstorm ways to share the good news. Press releases are great ways to share information on the Wire, get picked up by local and national news sources, and receive some social media buzz. Print Collateral: A few keys to print marketing is to try to create cohesion between your print and online messaging. Consistency between your website and brochures, fliers and web ads, publications and social media will help fortify your value proposition. Corporate Blog: The Target Pulse blog is a great example of a company that’s wisely using its blogging resource. Not only are blogs good message-sharing platforms, they are also good for getting employees more involved, social sharing and SEO. Branded Emails & Newsletters: Do you have a talent community? Lists of key contacts? Newsletter subscribers? If so, monthly or quarterly campaigns may be a good way to stay in touch and offer a glimpse inside what’s going on in your organization. Deloitte has a career newsletter that does just that and may be worth checking out. Facebook: Cover photos, profile icons, pictures, Oodle Marketplace, pay-per-click ads, boosted posts, etc. Facebook offers numerous ways to build an online community and engage your audience. LinkedIn: Through groups and discussions, corporate pages and your employees’ profiles … I encourage you to think about how you can leverage the power of LinkedIn when sharing your brand. Video: I’ve written about this before, I love video for branding and sharing information! YouTube, of course, is great for SEO and showcasing your brand. Once in a while, I also use Animoto to help create fun, quick photo-centric videos. You can access tips for creating a corporate recruitment video on B4J. Email Signature: I enjoy seeing people’s email signatures (weird, right?). With each communication you send out, hundreds of emails a week, you have the opportunity to share a snippet of your message. IT’S GONNA TAKE TIME, A WHOLE LOT OF PRECIOUS TIME. Developing your brand, establishing your presence, building an audience and regularly sharing content takes time. And, as your brand presence begins to “mature,” I think you’ll find it necessary to create a network of employees and/or partners to help share your messaging, too. This cross-pollination will help you reach people that otherwise you may have missed. I’m not a marketer by trade; I was a recruiter for many years before slowly transitioning into an HR marketing communications role back in 2008. Many of the things I’ve learned have been from trying new things, reading a lot, attending frequent webinars, partnering with trusted advisers, and watching what others are doing. It’s a continuous learning process, as technology is changing, and employers have to stay current with the trends and changes. This article is by Shannon Smedstad from workology.com.